Carolina Bank President Rick Beasley, Mayor Pro Tem Buddy Brand, Carolina Bank Vice President Vera Herbert, and bank associates celebrate the ribbon cutting in Downtown Florence. 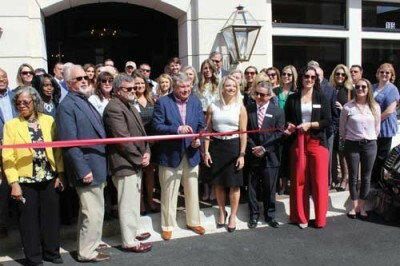 Carolina Bank held a ribbon cutting for their new branch headquarters and retail branch in the heart of Florence. The newly renovated building, formally the Art Trail Gallery, serves as the company’s financial and administrative hub and houses a modern retail banking center, administrative offices, as well as broker, insurance, and mortgage offices. It was nearly two years in the making. The $4.5 million renovation of the building marks a significant financial and personnel commitment to the Florence downtown area. 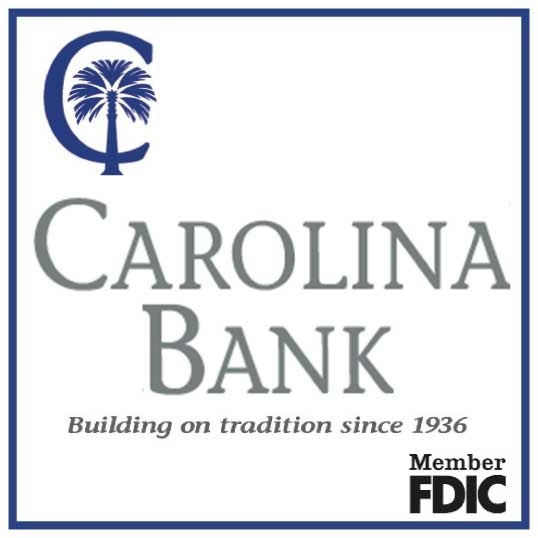 Carolina Bank shifted its administrative and training staff, along with lending, information technology, and mortgage staff to the new Florence location. A soft opening was held in December 2018 for the 19,200-square-foot building. It hosts the bank’s 15th branch location in addition to its new headquarters. This is just one part of the 80-year-old South Carolina bank’s far-reaching growth plan. Other phases of the bank’s plan include reinvesting in and renovating existing branches while expanding the range of technological offerings and support for its customers. When Carolina Bank purchased the building it was only two stories and housed the Art Trail Gallery. Adding a third story to the two-story building is what took so long in the renovation process, Herbert said. “We wanted to make the building look like the original building did in the early 1900s. A fire destroyed the third floor in the 1960s and it was never replaced so we wanted to replace it” Herbert said.